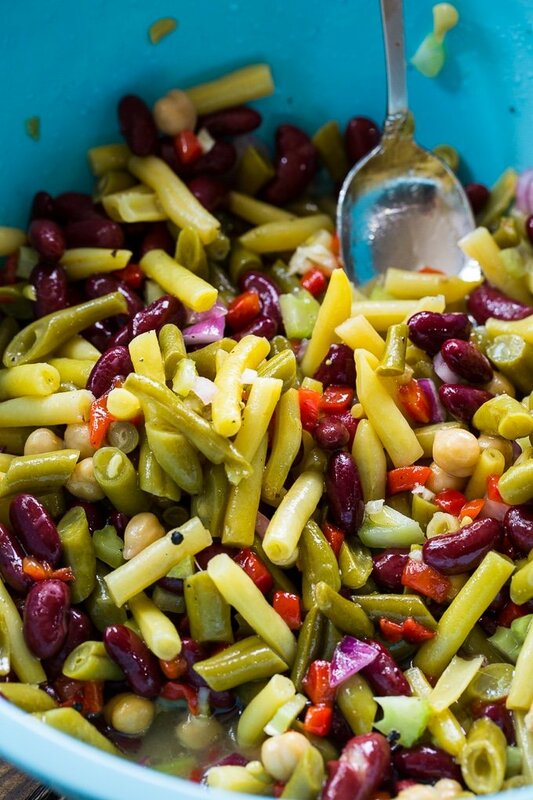 Sweet and Tangy Four Bean Salad is an old-fashioned potluck favorite that you probably remember your grandmother making. 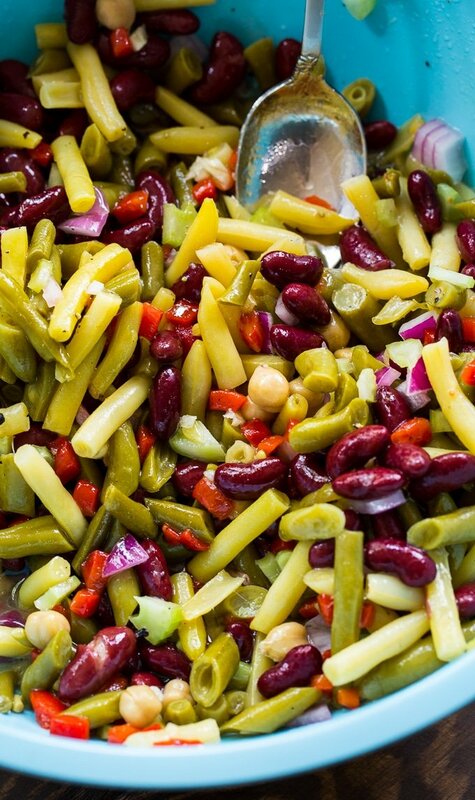 Beans, celery, red onion, and pimentos are marinated in a sweet and tangy dressing. 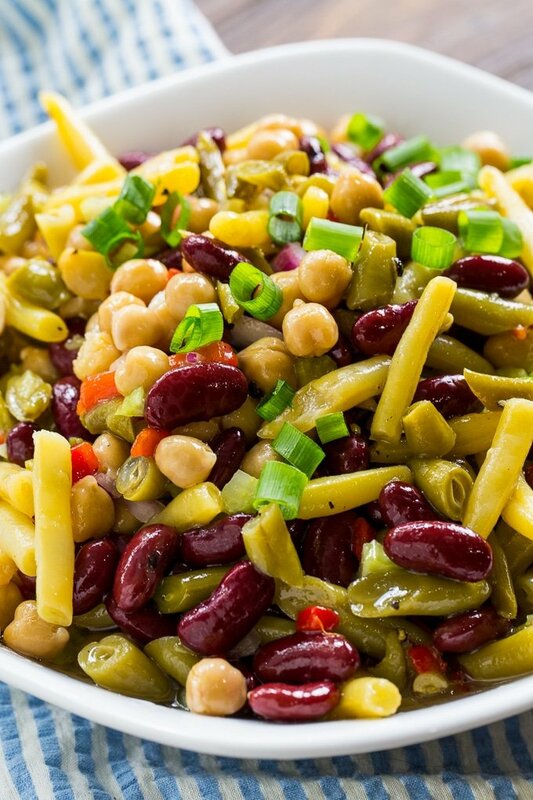 Sweet and Tangy Four Bean Salad is best made a day or two or even three in advance so it’s the perfect make-ahead potluck offering and it is great for family gatherings. Serve chilled or at room temperature. 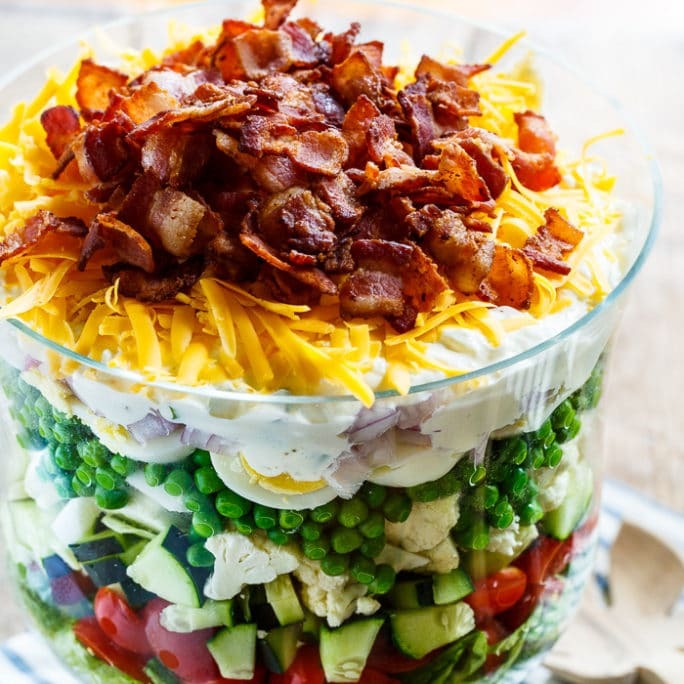 It makes a great side for hot dogs, burgers, or barbecued chicken. I use kidney beans, green beans, wax beans, and garbanzo beans, but you can switch the beans up. Navy beans, black beans, or black-eyed peas would be good and even edamame will work in this recipe. 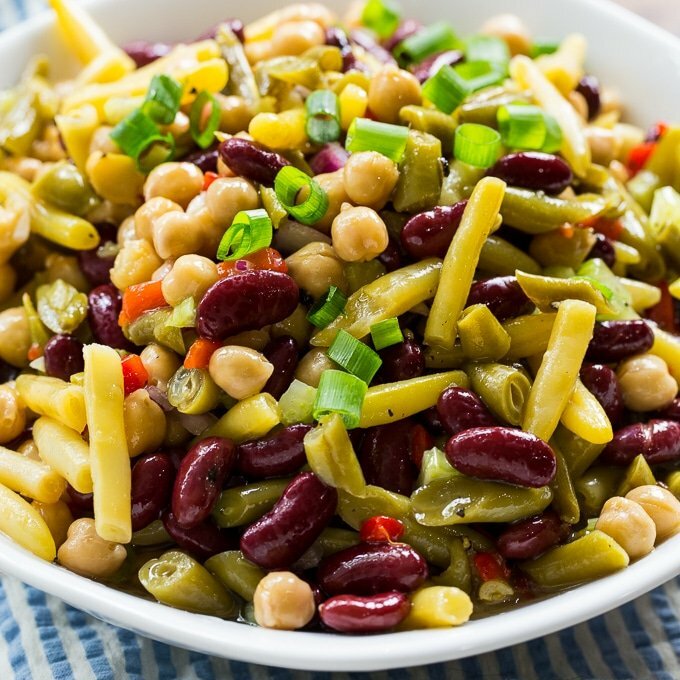 Sweet and Tangy Four Bean Salad is full of beans, celery, onions, and pimentos all marinated in a sweet and tangy dressing. In a large bowl, whisk together oil, vinegar, sugar, salt, pepper, Dijon mustard, and Worcestershire sauce. Add remaining ingredients, except green onions. Stir. Cover and refrigerate for 8 to 48 hours. This entry was posted in Side Dishes and tagged beans. Bookmark the permalink. Great balance of sweet and tangy! It is very difficult to finally find the recipe with several,pages of ads and huge pics of the same thing before we ever find the recipe! It is very frustrating!